....here in Reno, and not in the UK where I have been and would like to still be. ;-) For the first time in years (and for the first time *ever* without completely shutting down AmericanDuchess.com), Chris and I took a vacation, a proper vacation. We went "home" to the UK where Chris is from. 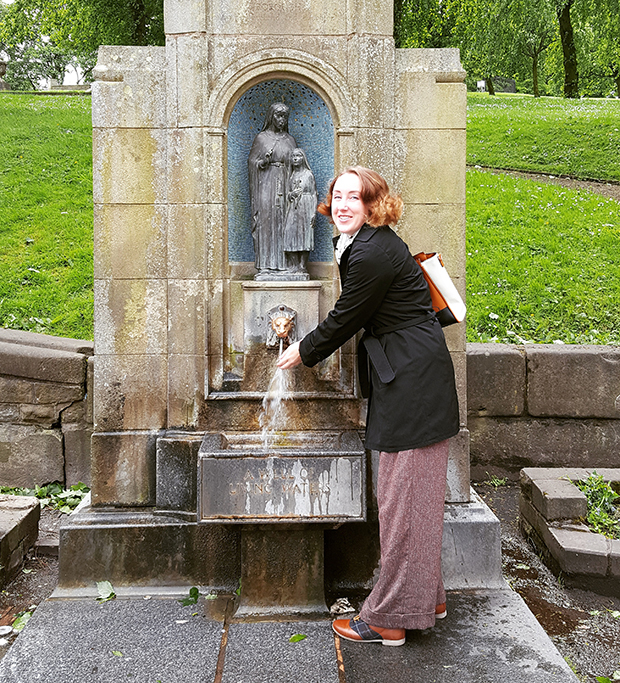 It was such a wonderful trip full of interesting, stimulating, and varied experiences. 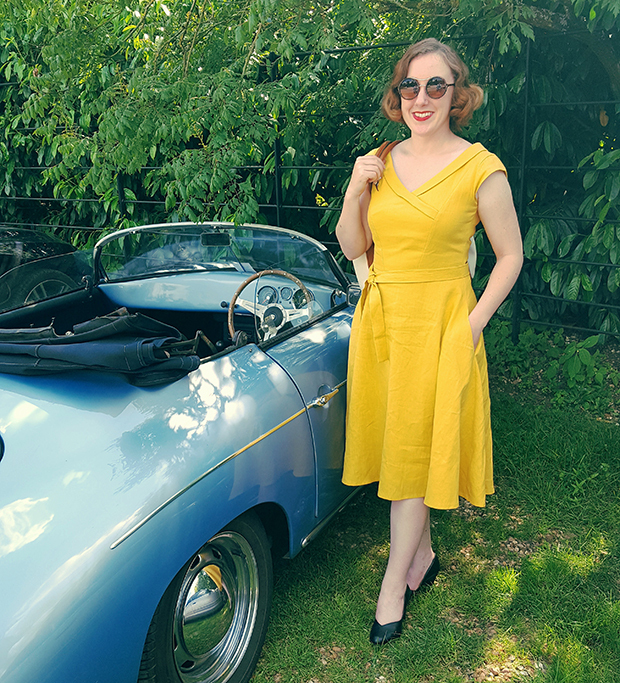 We ate Bakewell tarts in Bakewell, walked the city walls in Conwy, visited a race car factory, peeked into the Manchester Gallery of Costume, and relaxed in the Welsh hills with a lot of lambs. 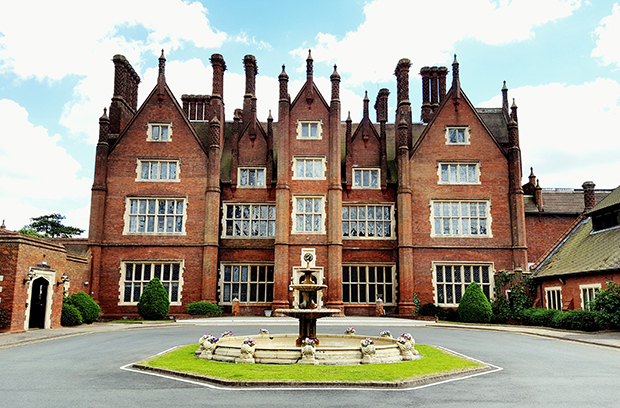 First stop - Dunston Hall. This place is a Victorian stately home that is also a hotel. They've built a number of additional hotel buildings that are in the same style, so it's a rather large complex. The service and grounds were lovely. If you're visiting Norfolk, this is a great place to stay. 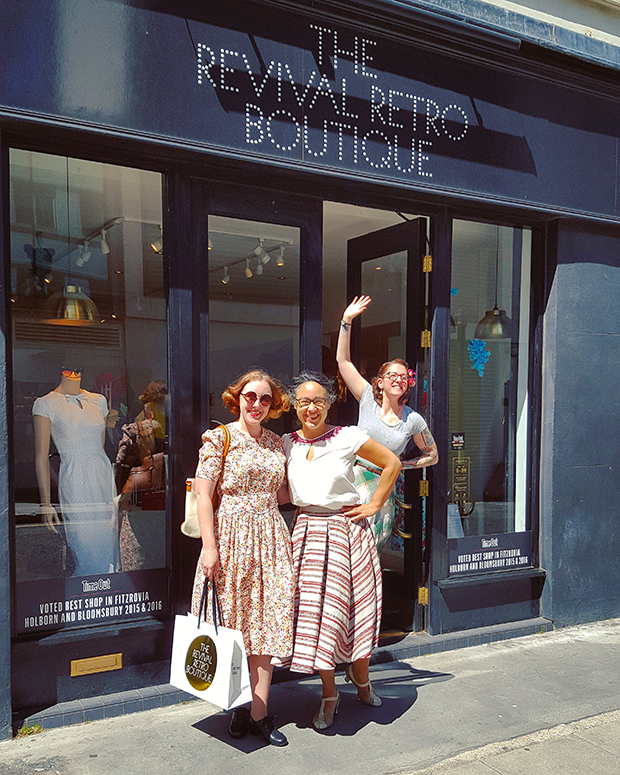 I've been wanting to visit Revival Retro in London for about 6 years now. It was an absolute treat! 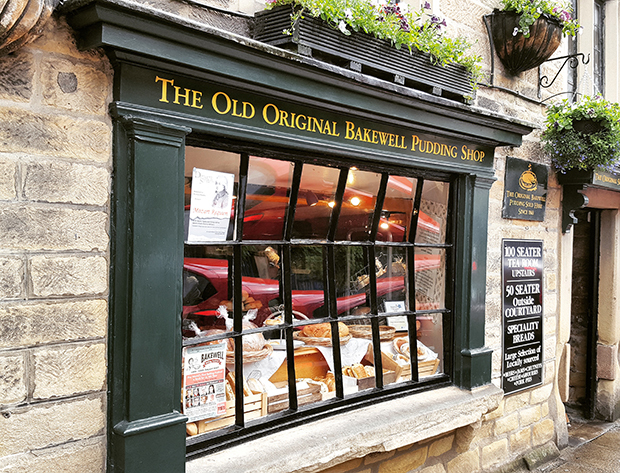 It's all in the name - if you know what a Bakewell tart is, or a Bakewell pudding, then you'll want to visit Bakewell. There are a number of shops in the town claiming origination of the delicious sweet. We chose this one and this one was wonderful and cute-to-boot. 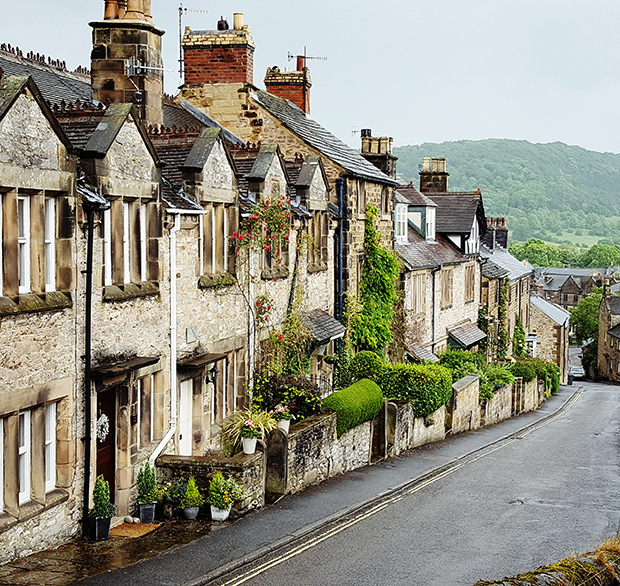 After nomming the tarts and puddings, we took a walk (hike) around Bakewell, a darling town built on hills. The quaintness of England just kills me - every street seemed to look just like this. 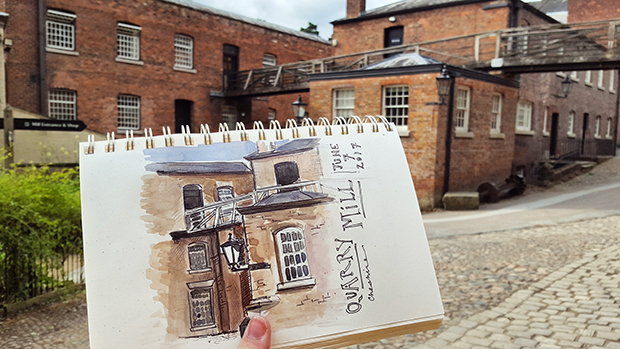 One of my favorite daytrips was to Quarry Bank Mill, a working cotton mill now run by The National Trust. I have a lot to share about this fascinating place in a future blog post. For now, here is my doodle. If you're a disciple of Janet Arnold, you will recognize this dress. 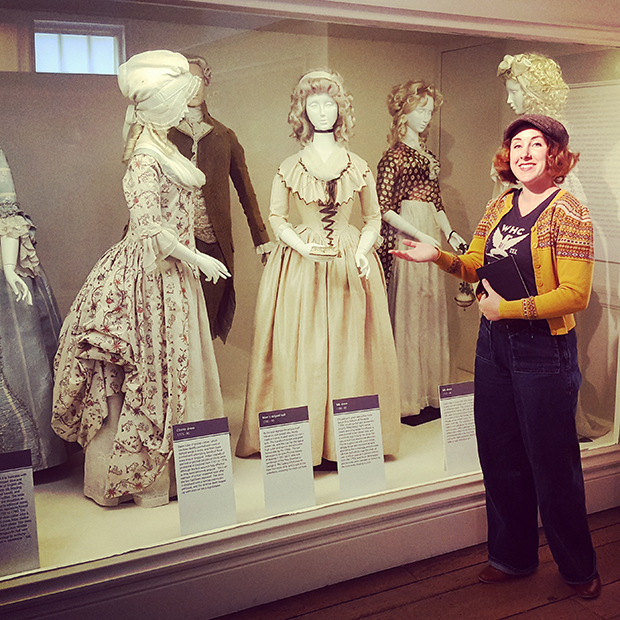 It was like meeting a famous person when I walked into the 18th century room at the Manchester Gallery of Fashion. I made some drawings and notes, which I'll share later. 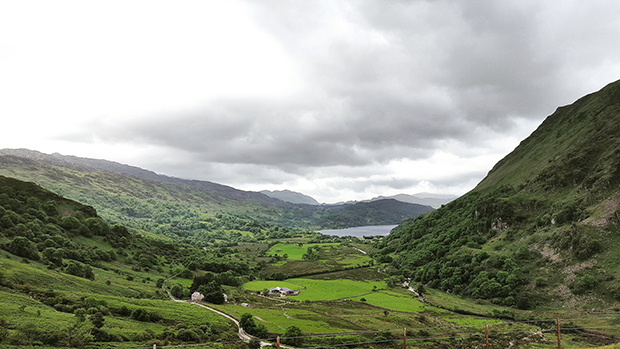 The second half of our trip was spent in North Wales - Snowdonia - which was an incredible place of natural beauty. It has a goodly number of castles as well, such as Dolbadarn Castle, a Welsh fortification. Here's my doodle. It was peaceful and wild up on this hill. 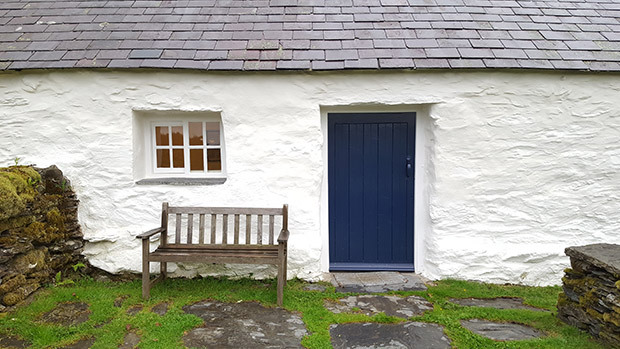 For our week in Snowdonia, we stayed in a Landmark Trust property called Ty Uchaf, one of three cottages up a rather rough track in the mountains. Our was at the top of the hill (of course), but was a truly stunning, peaceful, and meditative place. I honestly don't feel we spent enough time here. 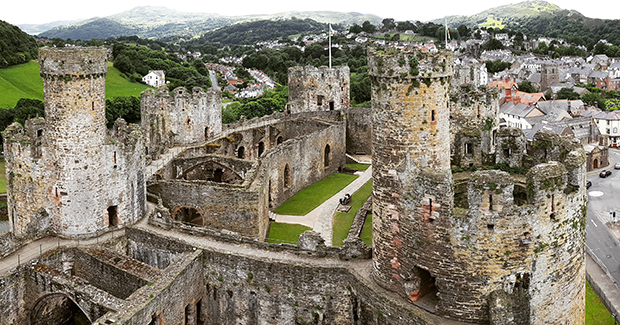 From the tippy top of the tallest tower of Conwy Castle in Wales. SUCH a cool place. 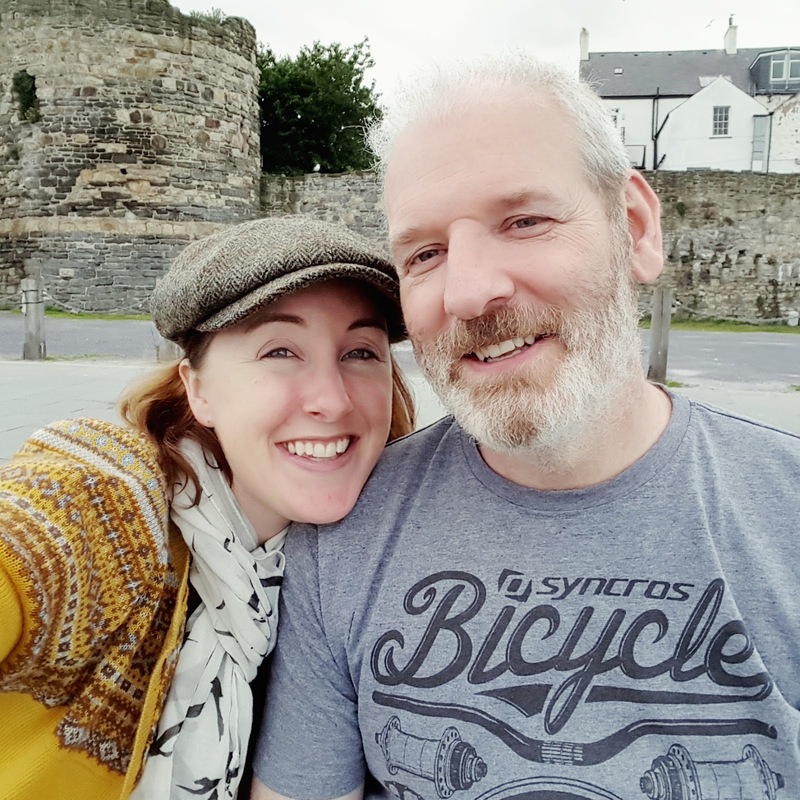 Before ascending the castle tower, we walked the entire length of the city walls and ate fresh fish and chips on the quayside. Heaven! This is proof that Chris and I took a vacation together. I have an obsession now. I ate 3/4 of this pie and since we can't get them in the US I've been rocking back and forth in a corner from withdrawals. 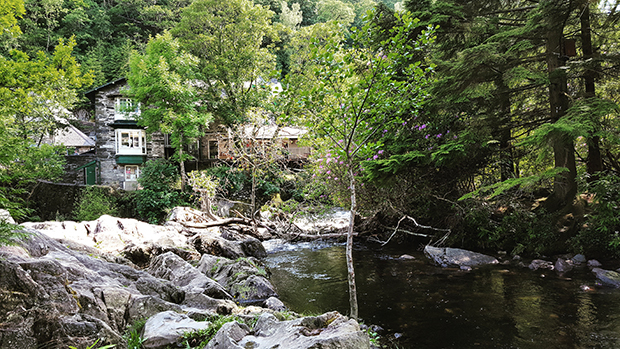 The nearest town to our wild Welsh cottage was Betws-y-coed, a tiny village of mostly outdoor/camping/hiking shops for all the Snowdonia tourists. There's a river running through the town with some waterfalls. An idyllic spot. Back at Ty Uchaf - there were lambs everywhere. Some of them were quite bold, but as much as I wanted to snuggle one, this is as close at they ever got, haha. Cute AF little lamby lambs. Snowdonia - quite a view. Our last day in England (sadness, such sadness). We were back in the South and it was *HOT. * Uncomfortable though the heat was, it was a good day to wear one of the dresses I got at Revival. So that's it for now, but I have more photos and reports on some of the places we visited and things we saw. Stay tuned! And you watercolor, too! Glad you got some time away and thanks for sharing. Its raining now here in Old Blighty. I am thankful the humidity has gone. It was unbearable at one point. Isn't it incredible! We Colonials really gasp at the age of everything! the locals don't seem to see it. I love how in London you are in the 21st Century at street level but look above that, and you can be in the 18th. And in some towns like Shrewsbury or Hereford, the 16th! It's awesome that you got to have a break and that golden dress is delicious. Oh wonderful photos. Had no idea there was a Costume Museum in Manchester. Great to see a photo of Chris. Wow, I didn't realise you could illustrate. Woman of many talents. I miss home when I see your photos. I'll be back there shortly and can hardly wait. 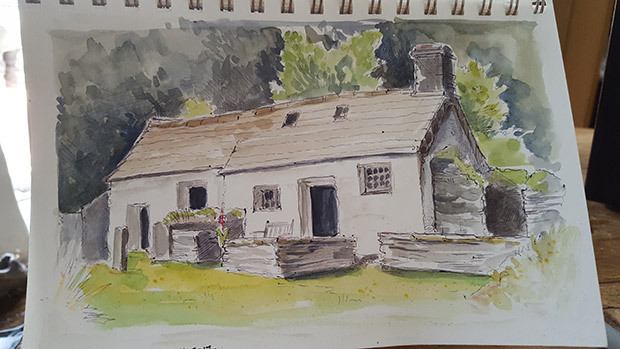 Oh, I'd love to see what the inside of your cottage looked like. And MORE photos of EVERYTHING! Your sketching is as good as taking a photo but more charming. I'm glad you enjoyed my country, and even more glad you enjoyed my home city of Manchester! You were fortunate enough to visit us in our Summer - or, as we call it, the week-long heatwave we just had!! Here's hoping you're able to take holidays with Chris away from your baby (AD.com) for many more years to come. What a fascinating trip! But if I may, I adore your drawings most of all of this post - goodness, they're so lovely! 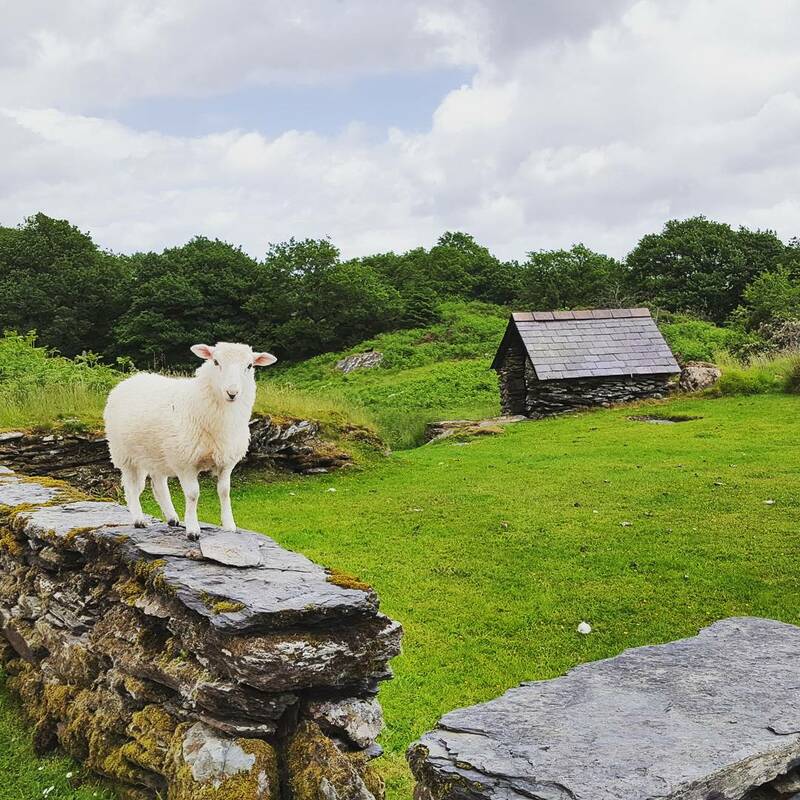 We had a great time in Wales on our honeymoon!! I loved Dolbadarn, and Conwy, and Harleth castles. It was May and it was magical. So glad you and Chris got to go! Oh my, your pictures are so awesome, and I loved your sketches. So glad you had such a great time in my corner of the world! 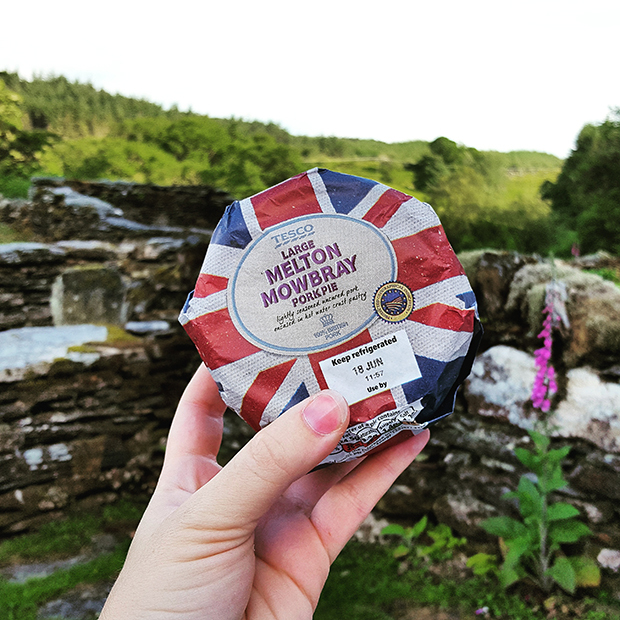 I live more or less midway between Snowdonia and the Peak District (Bakewell) and my husband and I spent many happy holidays walking in both of them. p.s. The Bakewell Pudding Shop is definitely the best one!